The Portugal Olympic team has been beaten 4-0 by the German team in Rio. Portugal were hoping that they could reach the semi-final, but they were unfortunately beaten by a much better German team. The German team was inspired by Arsenal’s winger Serge Gnabry who has so far scored 6 goals in 4 matches at the Olympic football tournament. Germany will face either Nigeria or Danemark in the semi-final. 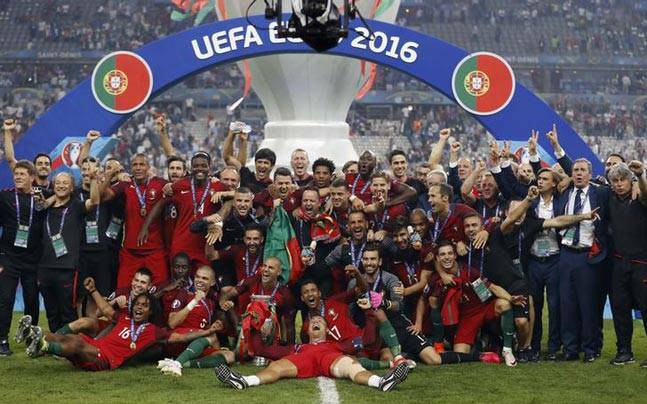 Portugal started the match well and took control of the game, but this did not last for long. Just before half-time, Germany will take the lead thanks to a goal from Arsenal player Serge Gnabry. This will be the 6th goal that the winger scored at the Olympic football tournament. This will allow Germany to go to half-time with a one goal advantage. After the break, Portugal will fail to respond and will surrender total possession to the Germans. They will score more goals thanks to Ginter, Selke, and Max to help them reach the semi-finals. Serge Gnabry said that it was a difficult match for Germany, and they had to fight in order to win. He stated that the players played well together as a team and that they followed the instructions of the coach. Gnabry stated that their formation and tactics worked well against Portugal and that he feel that they have done everything right during the match. He said that the objective of Germany is to win the gold medal at the Olympics, and hopefully they will be able to achieve it. He stated that the players are preparing themselves well and that beating Portugal was the first hurdle. The next hurdle will be the match against Nigeria. The African team has managed to beat Denmark in the quarter-final and will be far stronger than Portugal.